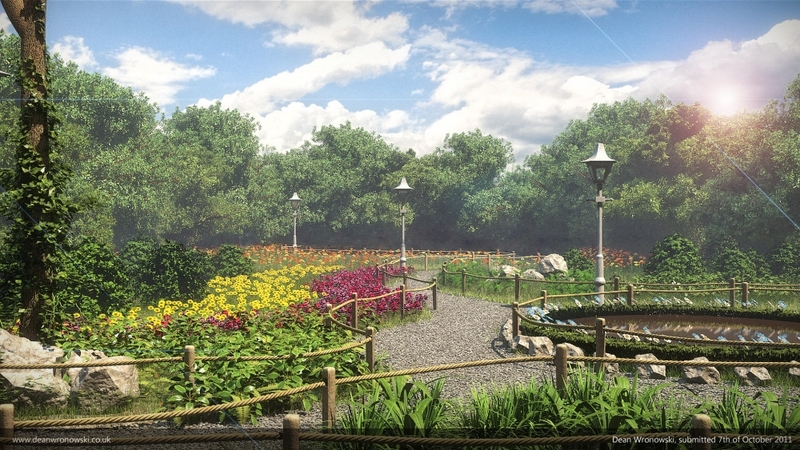 Here is an example of a 3D photo realistic nature scene design. The inspiration for this design came from the nature park in Cornwall. The purpose of this project was to learn more about creating nature scenes by creating elements like path, hedges, trees, flowers, ropes, water simulation and rocks.